Panama Immigration lawyers at AbogadosPanama.net have extensive experience in obtaining residence visas in Panama for their foreign clients of all nationalities and for more than 10 years we have been helping our clients to emigrate to Panama and to relocate them in their new homes under best prices and pratices of Panama. Our great team of Panama immigration lawyers has had the pleasure of processing more than 300 residence visas for foreigners in Panama, this has allowed our company to know the processes from end to end to always get the best result and approval of all procedures . For being a law firm specializing in Panama immigration processes, we can advise our clients and offer the most appropriate legal solution for each particular case at the time of obtaining a residence visa in Panama and that could be verified by our satisfied customers in all the legal processes of immigration to the country. What is happening now with Panama Residency Visas? 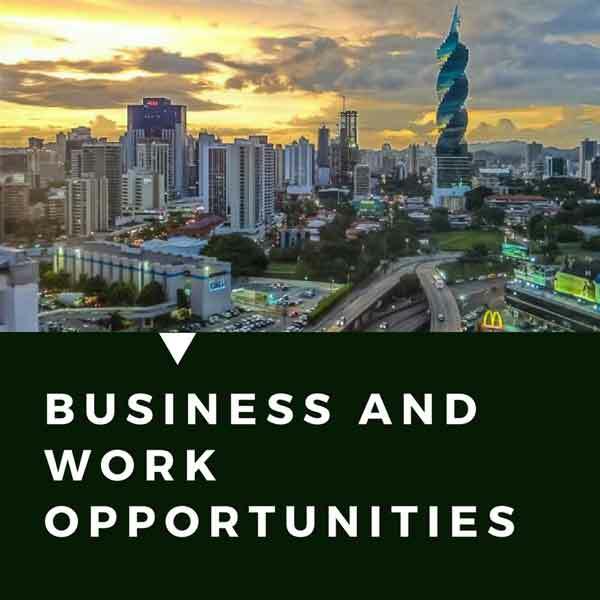 Panama is trying to bring professionals with foreign university education and skilled workers to help with recent economic growth of Panama, because companies can not find qualified and professional workers to cover their hiring needs, and also goberment is attempting to bring new companies to contribute in economic growth of Panama. Most foreigners are able to obtain temporary or permanent residency visa in Panama. Those Panama immigration visas are: Friendly Nations Residency Permanent Visa, Agricultural Investor program, Self Economic Solvency Visa, Reforestation Visa, Tax Free Processing Zone Investor Programs, Cinematographer Visa, and more that 50 categories plus those, panama work permits and in some cases Panama Passaports and Panama citizenship. Panama immigration laws make Panama an attractive country to investors who find opportunities in software business at City of knowledge (Ciudad del Saber), reforestation in special areas, import and export facilities, Panama Pacific free tax area, Colon free zone, Panama Canal suppliers, and a big variety of business they can do in Panama. 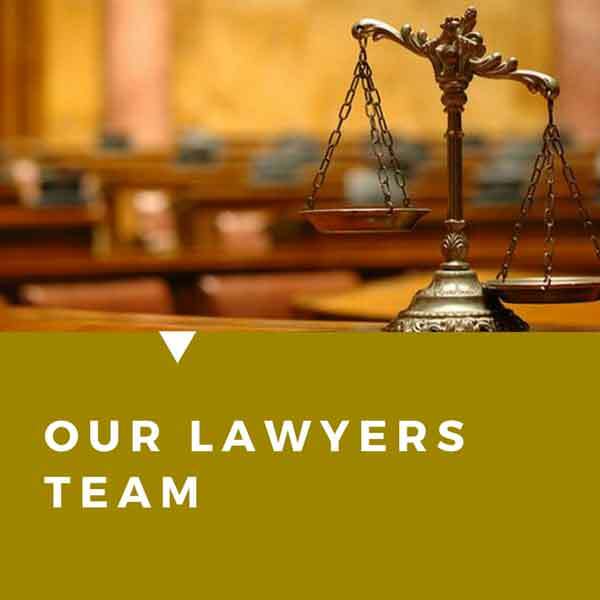 Mix of immigrations laws and business opportunities make Panama an attractive country to relocating and getting legal residency with our experimented lawyers team in Panama is easy and fast. AbogadosPanama.net has a great Panama lawyers team who can help you find best way to getting a temporary o permanent residency visa on Panama, fell free to contact us when you need information about immigration laws, works permits and business opportunities. 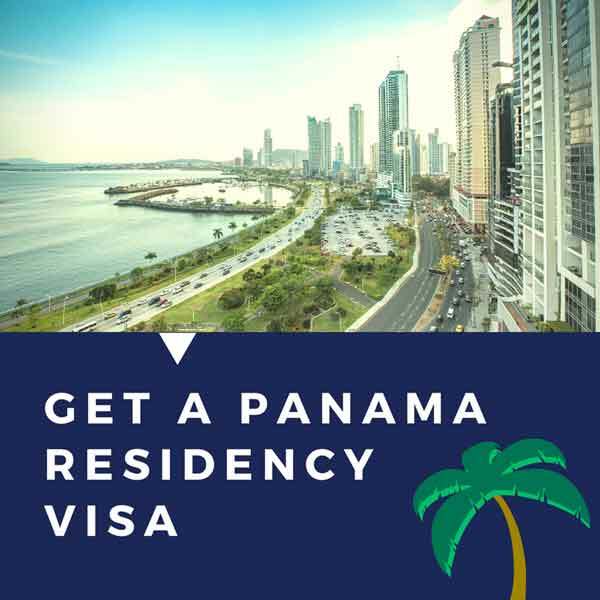 Bellow you will see listed different ways to get a residency visa on Panama as well as links to most popular categories and best lawyers in each one. 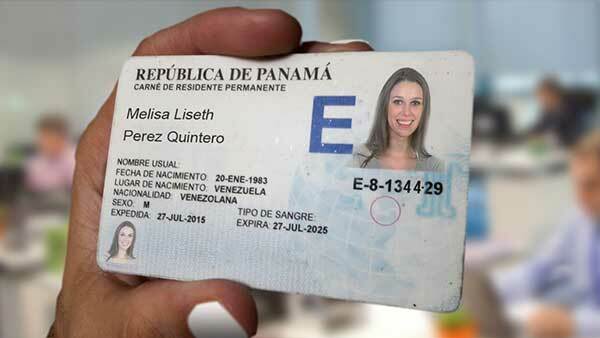 There are 2 main ways to obtain a Panama Residency Visa: Permanent Residency permit and Temporary Residence Permit, works permit and some times Citizenship and Panamanian Passport, lets start for Permanent Resident Card, this card is obtained after your permanent residence is approved by the national migration service and you can only get it with the ID card issued by the national migration service. Permanent Residency Visa for investors in Call center, Industris cinematográfica, and others. If you want to obtain a residence permit in Panama, we can help you, request a consultation from Law. 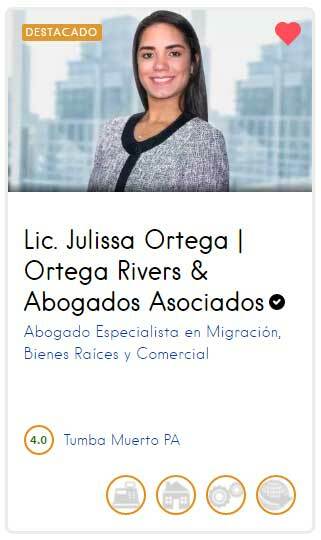 Julissa Ortega and know how to obtain your residence visa in Panama.